Students Explore the World of Robotics! 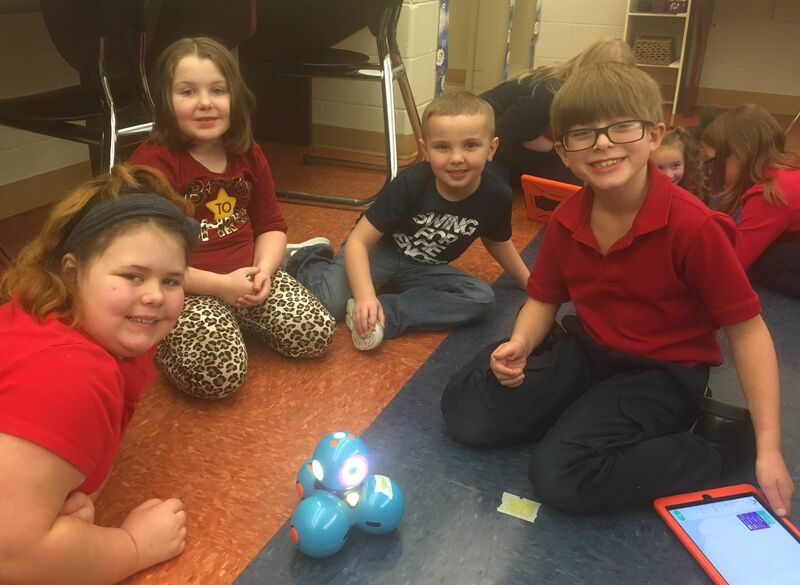 Third graders at DuBois Central Catholic Elementary enjoyed teaching preschool students how to use Dash Robots. Tech instructor Sarah Winslow explains, “Each Dash robot was connected to an app through Bluetooth, and the students in each group had to put in the correct code to make the robot either spin, sing or go through a maze.” According to Winslow, the 3rd graders as “teachers” were quite successful in instructing the preschoolers in their group how to correctly code each robot to meet each given challenge, and all had fun with this cross-age activity that also meets the school’s STEM goals.